Trophy Cupcakes to Visit Martha! I stopped by Trophy Cupcakes on Friday to pick up a few treats for the holiday weekend, and learned some fabulous news from Owner, Jennifer Shea. On April 3rd she is going to be baking her scrumptious cupcakes live on television with Martha Stewart! 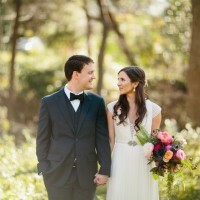 What an amazing accomplishment that is for Jennifer and her team at Trophy! 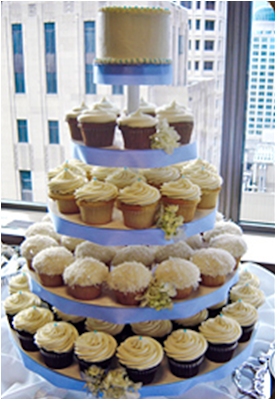 I have had the privilege of working with Jennifer for many of my clients weddings, and must say that guests devour her heavenly cupcakes and can’t stop talking about how great they are. My personal favorites are the Red Velvet and Snickerdoodle flavors – but be sure to check out the daily flavor options as they rotate…Green Tea, Chocolate Peanut Butter, and Chai Cardamom are just a few other varieties they offer. 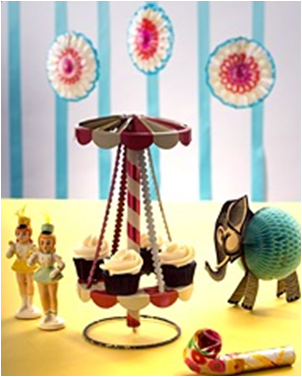 They also have some adorable vintage party supplies, cards, and paper decorations that will help add some personality to your party or gifts. Next time you’re in the Wallingford neighborhood in Seattle, be sure to drop in for a tasty treat – and look for Jennifer on TV with Martha on April 3rd at 2 pm on King 5 TV in Seattle. 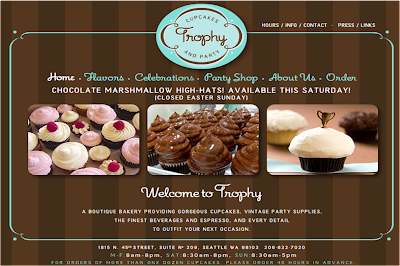 Congratulations to Trophy Cupcakes! I had one (or um, five) at the last ABC meeting, and they were delicious.